Bringing back a local favorite event in conjunction with our 70th Anniversary Celebration! Watch the thrills and spills as teams consisting of two tethers and one rider negotiates through gates and over bumps. 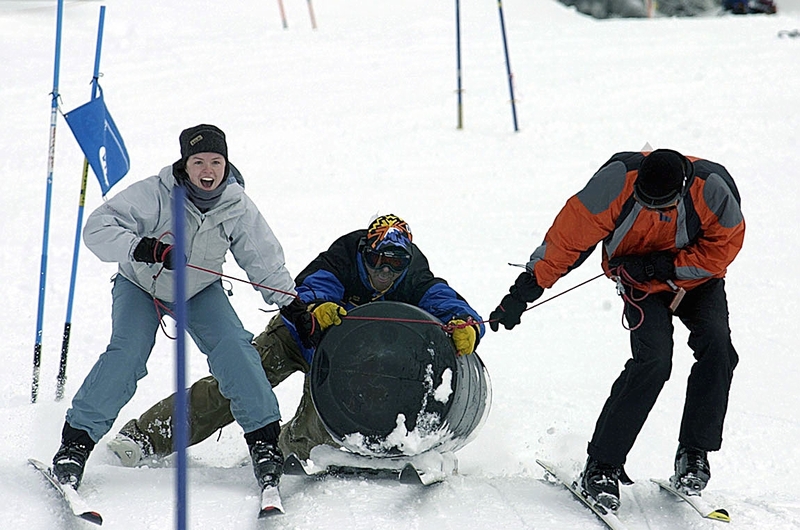 Pebble Creek Ski Area is hosting the Annual Cowboy Classic on Sunday, March 17, 2019. Race time is 1:00pm. The Barrel Race registration fee is $30 per team. The event is limited to 50 Teams, so contestants are encouraged to register in advance. Register in the office at Pebble Creek. Registration closes at 12:00 noon on race day. There is no charge for spectators. Due the nature of this event, both tethers must be at least 18 years old and the minimum age for a barrel rider is 16 years old. We are excited to bring back this Classic Event! !